Lake Victoria was named after Queen Victoria by the explorer John Hanning Speke, the first Briton to document it in 1858 while on an expedition with Richard Francis Burton. It’s about 400,000 years old and it receives 80 percent of its water from direct rainfall. it formed when westward-flowing rivers were dammed by an upthrown crustal block. First ever recorded information about Lake Victoria comes from Arab traders plying the inland routes in search of gold, ivory, other precious commodities, and slaves. The Geological cores taken from its bottom show Lake Victoria has dried up completely at least three times since it formed. It last dried out about 17,300 years ago, and it refilled 14,700 years ago. The lake has a surface area of approximately 68,800 square kilometres (26,600 sq mi). Lake Victoria is Africa’s largest lake by area, the world’s largest tropical lake, and the world’s second largest fresh water lake by surface area, after Lake Superior in North America. It has a maximum depth of 84 metres (276 ft) and an average depth of 40 metres (130 ft). The lakes catchment area covers 184,000 square kilometres (71,000 sq mi). It has a shoreline of 7,142 kilometres (4,438 mi) when digitized at the 1:25,000 level. The Islands in Lake Victoria constitutes 3.7 percent of this length. The average evaporation on the lake is between 2.0 and 2.2 metres (6.6 and 7.2 ft) per year, almost double the precipitation of riparian areas. The lake receives its water primarily from direct rainfall and thousands of small streams. The main influent rivers that feed into Lake Victoria from Kenya are the Sio, Nzoia, Yala, Nyando, Sondu Miriu, Mogusi, and Migori. These rivers combined, contribute far more water to the lake than does the largest single river entering the lake from the west, the Kagera River. Nile River is the only outflow from Lake Victoria which exits the lake near Jinja, Uganda. 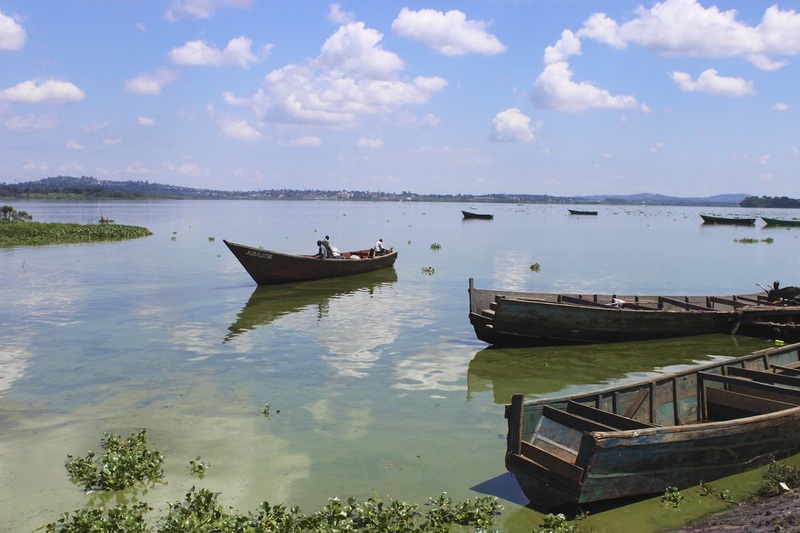 Lake Victoria spreads across three East African countries namely Kenya, Uganda and Tanzania. Kenya (6 percent or 4,100 square kilometres or 1,600 square miles), Uganda (45 percent or 31,000 square kilometres or 12,000 square miles), and Tanzania (49 percent or 33,700 square kilometres or 13,000 square miles). There are wildlife which consist of mammal, reptiles and fish species in the Lake Victoria region. Most of them are closely associated with the lake itself and the nearby wetlands. 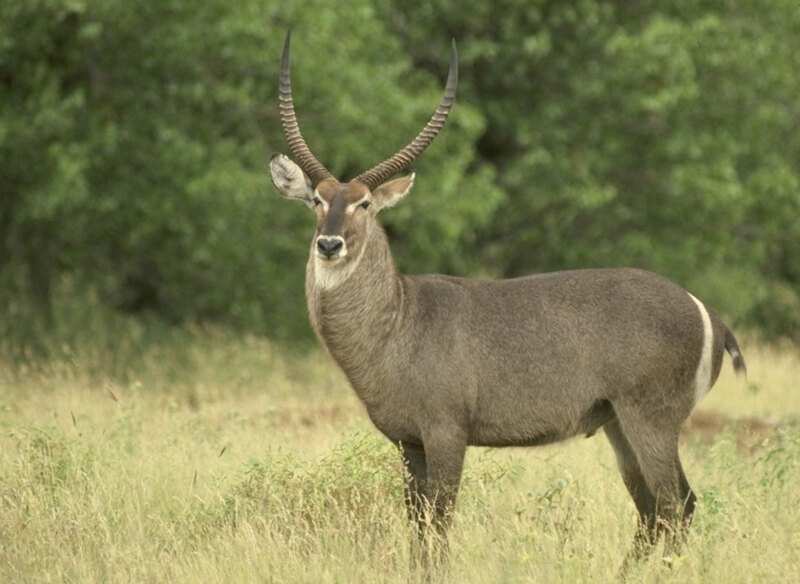 These are the hippopotamus, African clawless otter, spotted-necked otter, marsh mongoose, sitatunga, bohor reedbuck, defassa waterbuck, cane rats, and giant otter shrew. Nile Crocodiles, African helmeted turtles, variable mud turtles, and Williams’ mud turtle are found in the wetlands around the lake. In the early times, Lake Victoria was very rich in fish, but a high percentage of these became extinct during the last 50 years. The lake has more than 500 species of fish, almost all are endemic. Research shows that this is far more species of fish than any other lake in the world, except Lake Malawi. The introduction of the Nile perch, eutrophication and other changes to the ecosystem, it is estimated that at least 200 species (about 40 percent) of Lake Victoria haplochromines have become extinct. However, several species that were feared extinct have been rediscovered after the Nile perch started to decline in the 1990s. Previously, fishery involved native species, especially tilapia and haplochromine cichlids, but also catfish. However due to overfishing most of these species have declined. Several species of non-native tilapia and Nile perch were introduced to the lake in the 1950s to boost fishing. 1990s was the peak of fishing in the lake where 500,000 metric tons of Nile perch were landed annually in Lake Victoria, but this has declined significantly.